Back home, the losses are immeasurable. Nigeria records about N127 billion loss annually to cyber-crime. 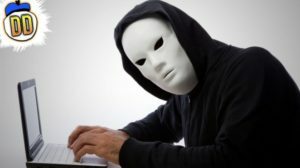 Nigeria has been ranked third in global internet crimes, coming after United States of America and United Kingdom respectively. 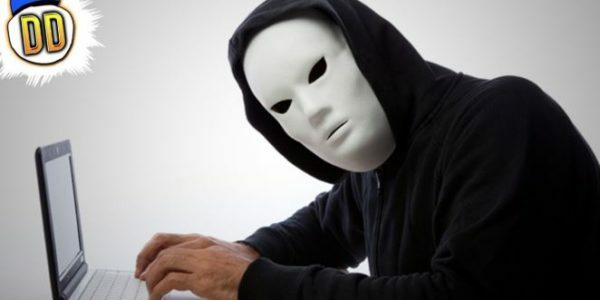 In 2014 alone, the anti-graft agency – Economic and Financial Crimes Commission, EFCC reported that customers in Nigeria lost about N6 billion to cyber criminals. Banks in Nigeria have lost approximately N159 billion to electronic frauds and cyber-crimes between 2000 and 2013. I’m sure the Global North countries that are the prime victims can’t fully count their losses even if they want to. According to a report by Ultrascan AGI, a subsidiary of Ultrascan Research Services – an international research organization, a whopping sum of $12.7 billion was lost to Nigerian scams (focusing on Advance Fee Fraud statistics) in 2013. In 2012, losses totaled $10.9 billion from $9.6 billion in 2011. Another report says that $50 million is lost annually to romance scams which our brothers participate actively in. “He was borrowing money to send over there. He wasn’t eating properly and he was starving himself. Anything he could sell, he sold it.” his sister, Gillian Doney revealed. These are just a few examples of the catastrophic effects of internet fraud on individual lives. Social media influencer and Lagos socialite, Noble Igwe has been criticized vehemently on social media platforms for exposing the business fronts through which these scam artists launder their dirty money in Lagos. He drew attention to real estate and property businesses, record label ownership (which singer Dbanj also confirmed some months back) car shops as well as other outlets in the privileged Island area of Lagos State. His tweets have been regarded as ‘snitching’ which is a popular black American cliché for condoning crime. Those opposing him are not even faceless people, they are prominent figures in the entertainment circle using their large following and verified accounts to hit the fashionista in a brazen way as it fraud is a legalized part of the Nigerian economy. This is not the Nigerian dream and one wonders how we got here. Dating a ‘god fearing’ and loving internet fraudster has become the dream of most girls in Lagos. Following some wealth-flaunting celebrities on Instagram has spurred them to lust after ostentatious products like iPhones, iPads, designer shoes, clothes, Exotic meals, wines, cars, top class hotels, vacation in some tourist centres across the world especially Dubai and engage in all sorts ephemeral of activities that could be used to intimidate their pairs. Majority of people don’t care about hard work anymore. Academics are being mocked for finishing school in flying colours and working for peanuts while the uneducated fraudsters who wasted the sunny days of their lives at beer parlours, engaging in drug abuse and chilling at dark corners with prostitutes, ride the best of cars and even open businesses that could employ the educated. This acceptance of fraud as a way of life which has almost formed a foundation of Lagos State – commercial capital of Nigeria where workers painstakingly earn an average of N100,000 per month is happening in the face of a #NotTooYoungToRun campaign aimed at ensuring young people take up public positions in Nigeria. There is this general belief that Nigeria would be better off if the apparent system of ‘Gerontocracy’ is abolished and the youths with fresh ideas assume power. There have been cases of victims becoming drug addicts, alcoholics, getting heart attacks, committing suicide and parting with their beautiful families after losing huge savings to Yahoo Boys who ignorantly attribute their successes to ‘God’. There is danger as the new crop of Nigerian youths doesn’t want to work, they just want to get rich and scam is the way. Most families, friends and acquaintances don’t care about the source of the money, they just want to celebrate the spender and enjoy their share. The Yahoo Boys are their heroes and messiahs.